Updated in 2016! Produced and published by the NHPCO Regulatory and Compliance department. 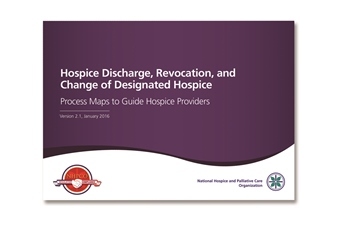 This handy, travel-sized Hospice Discharge, Revocation, and Change of Designated Hospice is a resource of Process Maps to Guide Hospice Providers.